Last month, Mana Contemporary hosted its Fall 2018 open house. While exhibitions varied in style, so did the fashion. That’s no surprise, since artists have a special creative license to wear whatever feels right. I focused on the outfits that provided a synopsis into the artist and their genius, which traces back to their style inspiration. 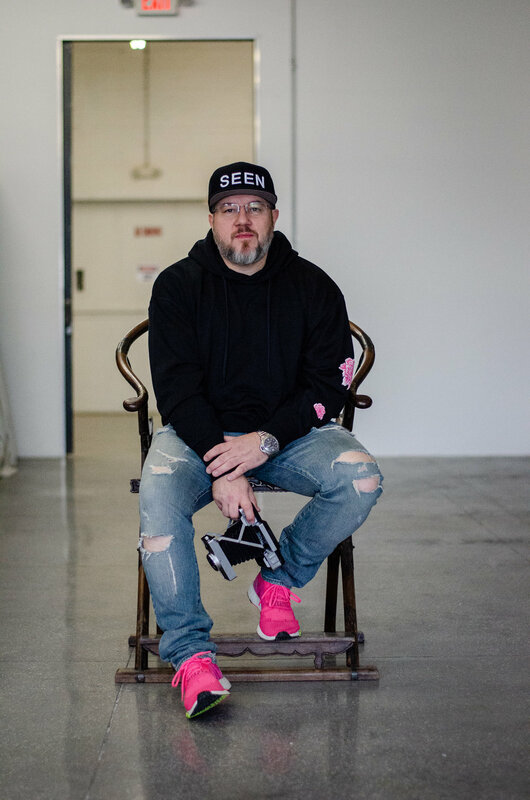 Jonathan Mannion’s style is very simple yet humble. He wore a black hoodie with distressed denim, which was paired with neon pink sneakers: cool, and down to earth. Given his accomplishments, the humility factor is even more pronounced. 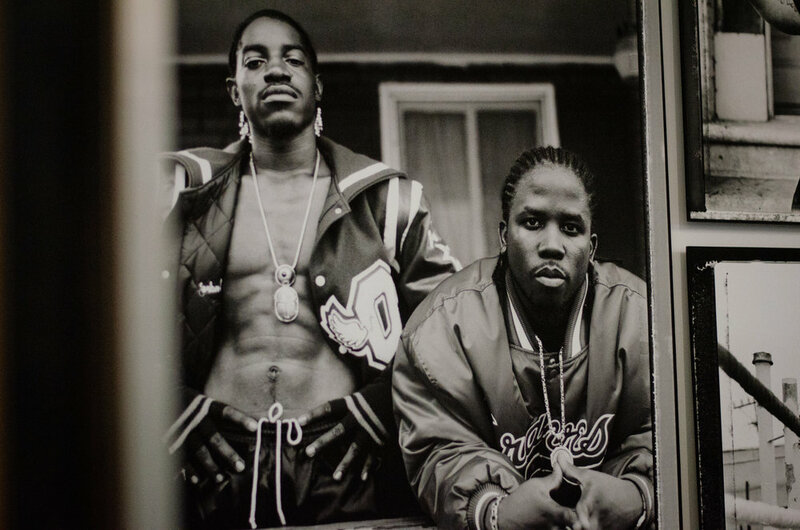 Mannion’s style stands in contrast with his photography: He is known for photographing some of the most iconic hip-hop artists. Missy Elliot, Outkast (and separately, Andre 3000), The Game, and Dr. Dre, were among a large array of hip hop portraits. Just like the musicians themselves, these photos are instantly recognizable. However, humility is typically not a trademark for the hip hop genre. The best way to describe Mannion’s style is that he himself is in awe of his work. A mark of a true artist. Lauren Bergman is one. She contemplates the woes apparent on earth, but translates her thoughts into uplifting art. For instance, Bergman rendered a Jewish girl, who was murdered in Nazi Germany, into an angelic figure. Another painting depicted what the earth will look like post-apocalypse, and the result is equally uplifting. Bergman dresses like someone who thinks about the bright side. Her thick-framed prescription glasses are a sign of reassured intelligence, while her laced white waistcoat is symbolic of her marriage to an uplifting, alternative reality. Tom Ford once said he designs clothes that he would wear. Fatima Camara does exactly that. She primarily designs head-wraps, an accessory popular in her ancestral country of Guinea and other countries in western Africa. Typically, a head-wrap uses breathable fabric and a color story that warms the skin tone. It also accentuates the right angles on one’s face. 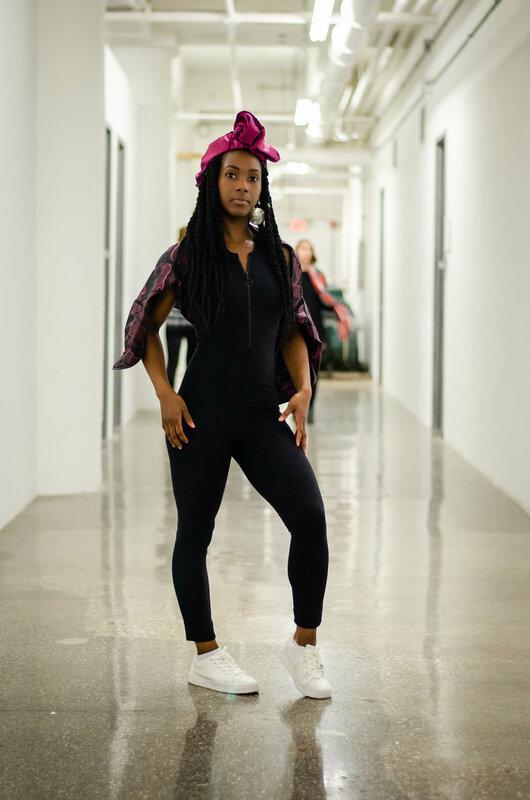 Below, Camara wears a head-wrap and shoulder accessory with an all-black outfit with sparkling white sneakers. The idea is to draw attention to obscure pieces of African style. 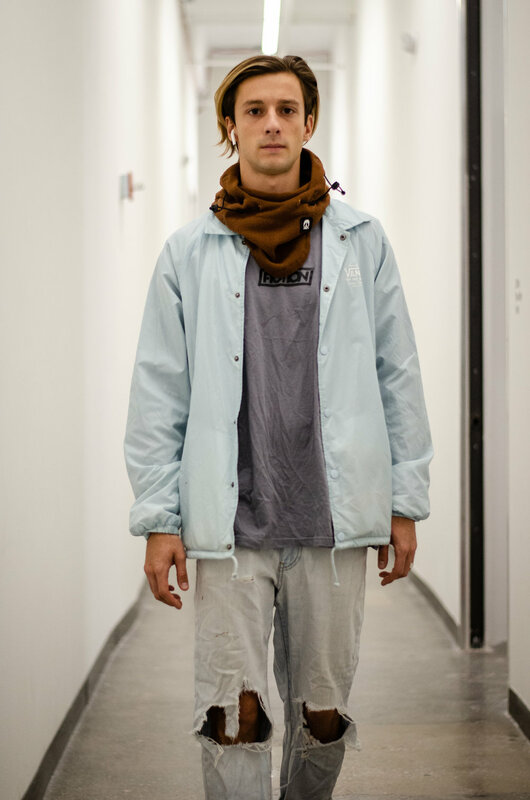 Other artists and attendees also wore exciting outfits that exemplify their creative intelligence. Grenadian painter Jay Gittens, and Russian spray-painter Kirill Abramov both look like they finished a masterpiece right before making an appearance at the open house. Here, Simone not only wore her grandmother’s gown, she doodled over her ankle boots. Fitting that she opted for blue tones, as the paint invigorates her otherwise simple black shoes with life. Hong Kong-born photographer Jimmy Cheung wears an outfit that focuses on the characteristic details, much like the subjects in his own photographs. His outfit was the most approachable. Lastly, the concept of floral was present within the walls of Mana. 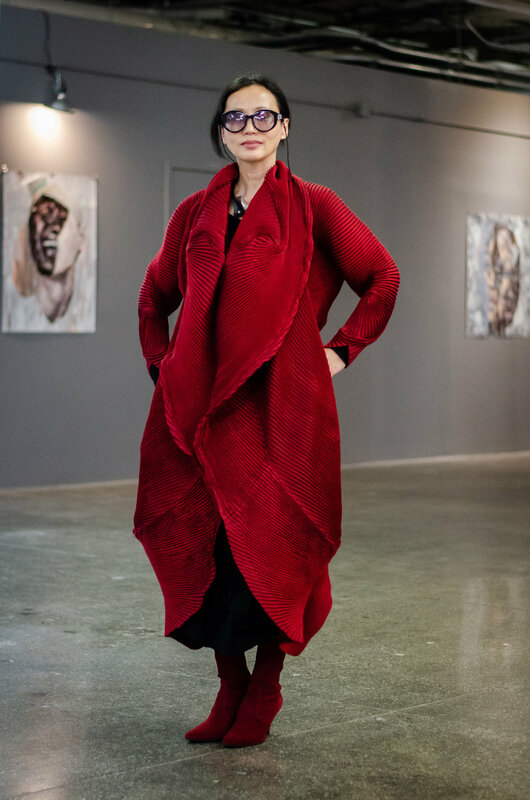 In the first picture, she wore a coat that looks like a sprouted rose. The second outfit takes on floral with a darker palette, which contrasts with the dress’ white background. The outcome has a pure, yet spell-binding effect. Written by Matthew Usukumah. Edited and Reviewed by Tobias Bui, and Caterina Monda.